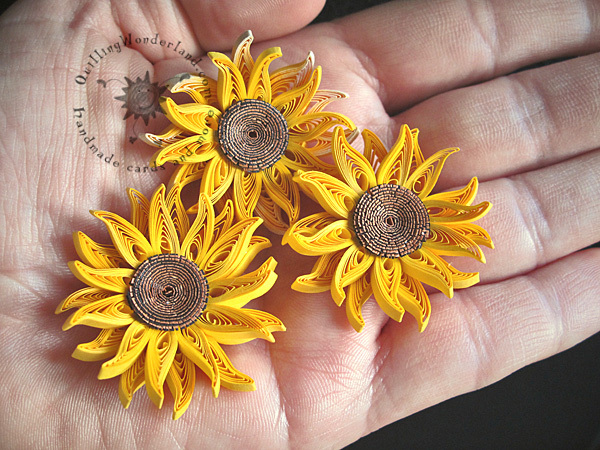 This time I wanted to show you my quilled mini sunflowers. 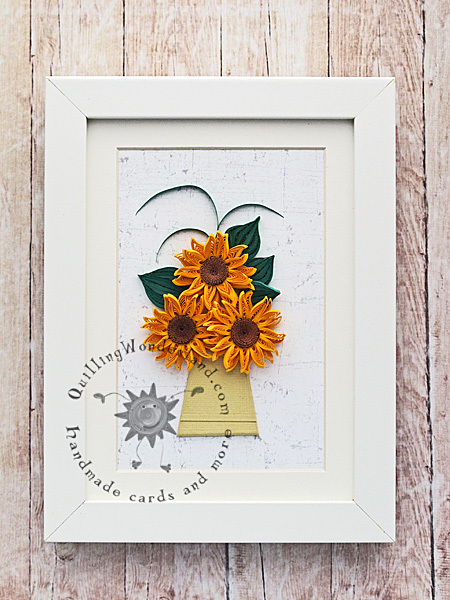 Correct there are MINI sunflowers each is 4cm x 4 cm . Centres are made from fringed black and brown strips rolled together in a tight coil. 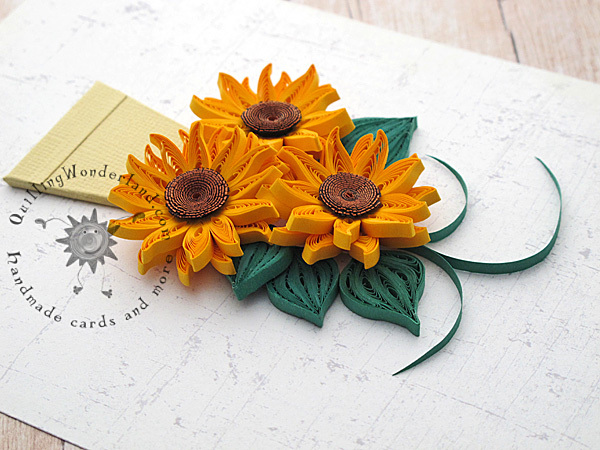 Also from 3 mm paper strips. 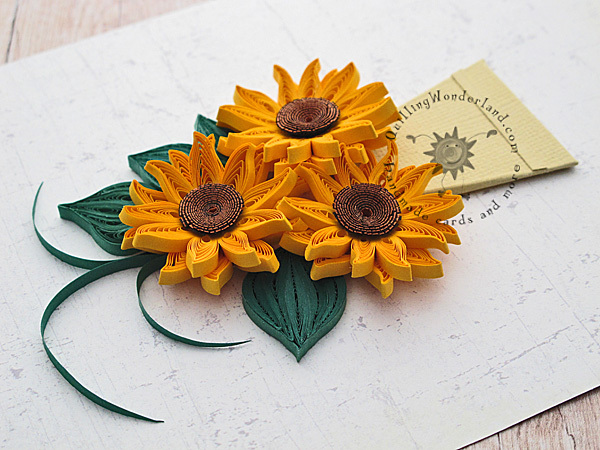 Next time I will try 2 mm strips for petals I think this wide is more suitable from 3D flowers. Vase is made from heavy card stock. Everything is glued to a very special acid free background. If you want to see more of my wall art just click here.